Larc School, located in Bellmawr, serves children with a severe range of disability. It is the first school in the United States to approve a policy for the administration of medical marijuana to students on school grounds. Days after Governor Chris Christie signed a bill regulating medical marijuana for students with developmental disabilities, a South Jersey school at the center of a lengthy legal dispute has approved a policy providing guidelines for eligible students to consume edible medical marijuana on school grounds. The policy, approved by the Larc School Board of Directors on Wednesday night, represents the first of its kind in the United States as proponents of medical marijuana continue to seek solutions within the larger criminal framework surrounding possession and use of cannabis. The school is in Bellmawr, Camden County. “I’m thrilled that we have been able to reach this point," said Susan Weiner, executive director of Larc School, after the board's vote. "We're about helping children. I know there are so many kids in this state and across the country who can benefit from this. We're grateful that our legislators recognized it's a sincere need that helps students, because we do see the difference." In New Jersey, the bill signed Monday protects schools and educators from legal liability when sick or disabled children possess prescriptions that require the administration of medical marijuana during school hours. Its enactment was long-anticipated amid mounting pressure after the New Jersey Assembly passed the bill in June, opening the door to a resolution for schools left in a serious bind over providing the care parents demanded for their children. The issue had reached a critical juncture when the family of Genny Barbour, a 16-year-old girl with severe epilepsy and autism, sued the Maple Shade School District and Larc School for denying a request to administer the marijuana oil her mother prepares for her at home. A judge ruled twice against the Barbour family, represented by Genny's father, Roger, based on limitations under the Compassionate Use Medical Marijuana Act, which only permits possession by patients and caregivers registered with the state's health department. 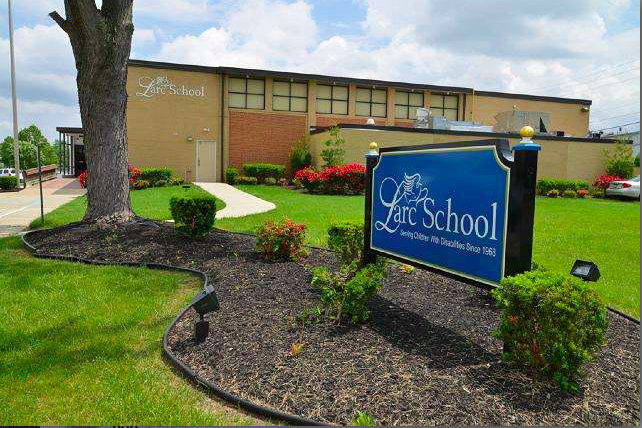 Until Wednesday night, Larc School had no way to accommodate Genny's four daily doses of marijuana oil without illegally possessing a Schedule 1 federal drug that is prohibited within 1,000 feet of schools. Since April, Genny has only been able to attend half days of school so that she can be home to receive the cannabis oil treatment. Jim Madden, who serves as counsel on the Larc School board, explained that the new policy will allow a parent, guardian or caregiver to administer medical marijuana to eligible students who submit an application as long as the designated individual possesses a state license. "It's a step forward that's facilitating this treatment with a license," Madden told PhillyVoice. "We're happy with the legislation gaining approval." Under the new policy, licensed caregivers will be greeted by a school employee, brought to a designated area to administer the medication and then escorted off school grounds, assuring that no marijuana is left on school property. "There are a lot of students who suffer from seizures, and parents have found that this treatment alleviates the severity of their child's symptoms," Weiner added. Still, the Barbours' case – which has attracted national attention, including an appearance on 'The View' – remains in litigation over the specifics of who can administer medical marijuana. "We don't know if it will go forward, be we expect that it will," Madden said in light of the new policy. "The family would like to obtain an order compelling the school nurse to administer the marijuana, which we're not willing to do." At issue, Weiner said, are state nursing regulations requiring that medications to be pharmaceutically prepared. "Genny's medication is prepared in the kitchen in a crock pot," Weiner said. "That's where we are right now with medical marijuana on that question. It's not pharmaceutically prepared." The outcome of the Barbours' appeal remains to be seen, particularly given the new accommodations, which will allow Genny to receive the one daily dose that falls within school hours. More broadly, New Jersey's progressive policy could have implications in other states such as Colorado, where on-campus cannabis use is legal, but Weiner says school policies don't yet exist to implement it. "I'm thrilled for the Barbour family and other families that will benefit from this," Weiner said. "I would be more than happy to share this policy with other schools. We want any child to be able to avail themselves of this if it would be of help to them and their families."